There is no need to worry much as in the below article we are going to share with you the complete list of vegetables you can dehydrate in the food dehydrator. Besides this, we will also share with you some vital information about the dried veggies that might benefit you in the future. 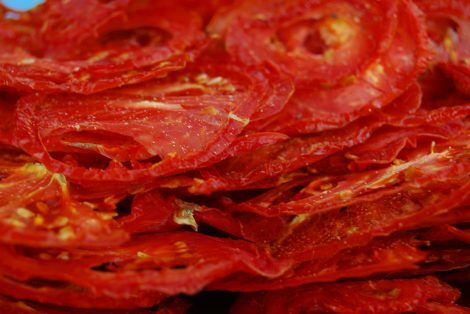 How to get good dried Vegetables in the food dehydrator? Two very essential factors are required for drying veggies, i.e., air circulation and heat. Thus, it is necessary that where you keep your food dehydrator machine for drying. If you put it in the damp basement then, it will obstruct the right process of drying. If you want to get the results of drying the vegetables in the food dehydrator then, always pick them at the top of their ripeness. The reaped veggies from your garden that are fresh are perfect. The selection of low temperature in the machine for drying the vegetable benefits in preserving the nutrients. You should try to pick the vegetables when they are available in the best quality in the market, i.e., during maturity. But the veggies like green peas and sweet corn must be marginally unripe to preserve their sugary taste before it is triune into the starch. What is the best time and temperature for drying Vegetables? Generally, vegetables dried at a temperature of 125°F or 52°C. If you dry them at the high temperature then, it might make the outer surface of the vegetable to get toughen whereas the inner side might stay moist that can result in the food spoilage. But still, there are few exceptions to this range of temperature. Thus you should follow the steps of your recipe with caution. The time taken for drying the veggies depends on numerous factors. For example, if there is high humidity inside the air then, the vegetables will take a longer time for drying. Moreover, the veggies like tomatoes, which consist of high quantities of moisture, might take a long time to dehydrate naturally. Also, the thickness and size of your vegetable is also one important factor. How to use the Dried Vegetables in the recipes? When you rehydrate a single cup of dehydrated vegetables then, it will re-form to around 2 cups of the vegetables. While rehydrating, you need to cook the hard vegetables (like kale, spinach, chard, cabbage, tomatoes) and cover them in the pot of hot water to get the preferred tenderness. Before cooking, soak stem, root, and seed (like corn, green beans, carrots, and peas). After this, cover the veggies with cold water and immerse in it for 35 to 95 minutes. Again keep them in the boiling water for getting the full tenderness. Dried vegetables own exceptional consistency and taste. You can use them as the ingredients in casseroles, soups, stuffing, sauces as well as stews. Generally, you do not have to cook the raw vegetable like tomato, pepper or onion before the process of drying. After cleaning the veggies, cut them evenly and place over the trays of the dehydrator in a single layer. The vegetables like peas, corn, green beans, and broccoli have to usually cook before consumption. You can steam them earlier before drying for around 8 minutes; however, it is not always essential. It depends on the way you are cooking the food. We hope that now you are fully aware of the complete list of vegetables you can dehydrate. You can use any of the above veggies for making some delicious recipes at your home for your friends and relatives. Don’t forget to store the dried veggies in the airtight and clean container or zip-lock bags for long term storage. It makes the dried veggies fresh and safe from the outside moisture. Is there any name of the vegetable that we missed out mentioning in the above list? If yes then, please let us know in the below comment box. You can also share your kind thoughts on the above article with us as well.